Betty needs to buy carpeting to cover her entire bedroom floor, which is 12 ft. long and 8 ft. wide. How much carpeting does she need to buy? Since Betty needs carpeting to cover her floor, this problem asks you to find the area. This means you need to multiply length and width to find the area, which is given in square feet, since each foot of carpeting is not only one foot long, but also one foot wide (a square). The rectangle in the above figure has length 20 and height 10. What is the area of the red region? Insufficient information is given to determine the area. 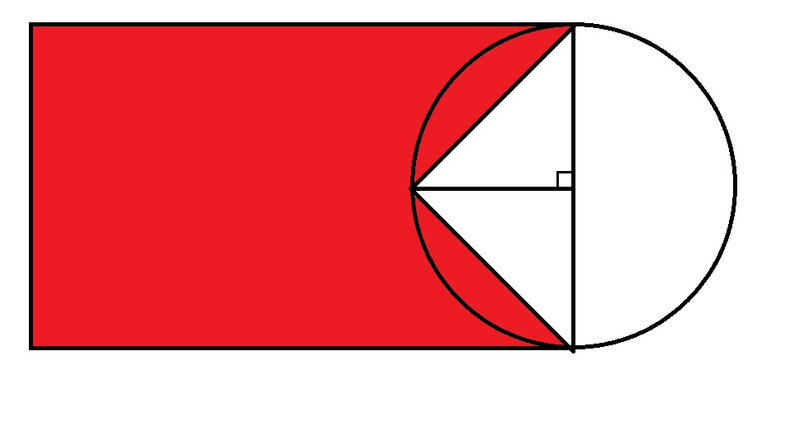 The red region is formed by removing a triangle from a rectangle. 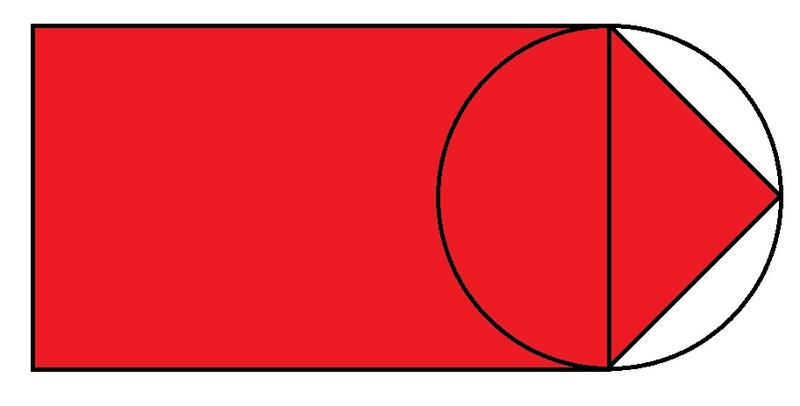 The difference between the areas, which is the area of the red region, is . The sum of the areas, which is the area of the red region, is . Thompson High School wants to buy artificial turf for their practice soccer field. The field is 150 ft by 100 ft. How much turf should they buy? Judy needs to buy a glass table cover for a dinner party, which is 8 ft. long and 3 ft. wide. How much glass does she need to buy? Since Judy needs enough glass to cover the whole table, this problem asks you to find the area. This means you need to multiply length and width to find the area, which is given in square feet, since each foot of glass is not only one foot long, but also one foot wide (a square). Jessica's blanket is 12 square feet. Lisa has a blanket that is half the size of Jessica's blanket. Which of the following are possible dimensions of Lisa's blanket? 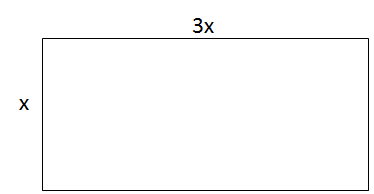 The area of a rectangle if found by multiplying the length times the width. Here, we know that Lisa's blanket is half the area of Jessica's blanket. Since Jessica's blanket is 12 square feet, that means that Lisa's blanket must be 6 square feet. The only length and width values that give us 6 square feet when multiplied by one another are 3 feet by 2 feet. This is therefore the correct answer. Jon built a new garden with two sides equalling , and the other sides equalling . What is the area of Jon's new garden? In order to do this problem you must imagine the garden as a rectangle with sides of by by by . The formula for area of a rectangle is . The area of the following rectangle is . Solve for . The area of a rectangle can be found by multiplying the length by the width. A square has a perimeter of . What is its area? A square with a perimeter of has equal sides whose lengths add up to . You could figure out what these sides have to be in a lot of different ways. If you use algebra, you might set up an equation like or . You would figure out that the side lengths must all be . If a square has side lengths of inches, to figure out the area you would do , or , and you would get an answer of . Not enough information given to solve. A square has a perimeter of . The four sides of any square are equal in length, so to find one side of the square, we divide the perimeter by . Dixie State College of Utah, Bachelor in Arts, Mathematics.